Is EMF Affecting Your Energy and Cancer Risk? Purchase the xZubi now at 40% off! The human brain is highly susceptible to damaging man-made radiation from our cell phones. The radiation “electrosmog” is called electromagnetic frequencies, or EMF pollution. A child’s brain is developing, and highly sensitive, and her skull isn’t as thick and protective as an adult’s! 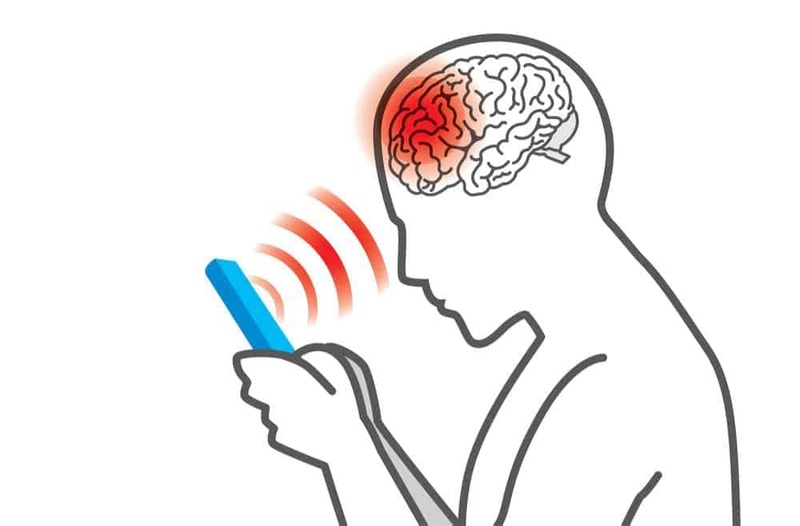 Cell phone waves are documented to pass over 85% of the way through the brain of a 5-year old, and these frequencies damage human cells, putting us at risk for cancer and other diseases. The World Health Organization (WHO) spent $30 million to discover a growing trend in brain cancer related to cell phone use. 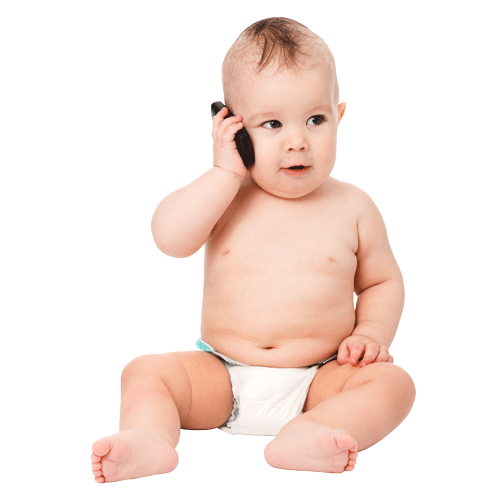 Cancers, autism, and other health problems are linked by 1,800 published studies now, to the radiation exposure from cell phones as well. The U.S. FDA has now classified EMF as a Class C carcinogen. And of course, there’s the fact that our boys are carrying their cell phones in their pockets--often with Wi-Fi on--next to their sensitive, developing reproductive organs. And girls are sticking cell phones in their bras. Women are being diagnosed with breast cancers in the shape of a cell phone, right where they carried their phones for years. This has troubled me for a long time, and I’ve investigated options. For many years, I wore a crystal pendant to protect me from EMF (electromagnetic radiation). But my most exciting, inexpensive discovery you don’t have to wear is a technology that can protect you and the children you care about. It’s much easier to use, very inexpensive (unlike crystal pendants), and neutralizes 84-100% of the effects of harmful radiation from items we use every day that emit EMF. All you have to do is stick the xZubi neutralizer anywhere on the back of your cell phone, or any emitting or electrical device that is often in your energy field (within 8’ of you). 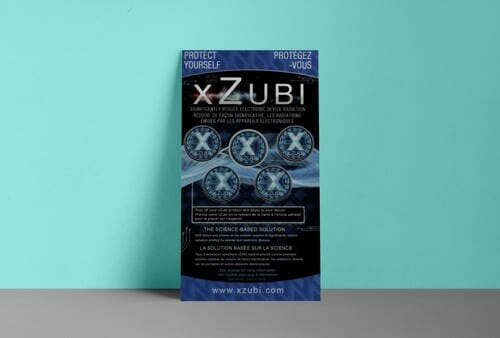 The xZubi technology is a hologram made of three micro-thin layers of rare-earth, para-magnetic materials that absorb and neutralize man-made electro-magnetic radiation. The developers went through the highly rigorous process of obtaining a U.S. scientific patent. This involved 28 separate tests, including one exposing human DNA in a petri dish to a cell phone with--and then without--the technology. The proof is in the fact that this test resulted in those human cells 100% protected from the harmful effects of chaotic radiation. Other testing show that child and adult human brains are protected from stress by the xZubi device. To put it in very simplistic terms, it doesn’t block all the radiation, or you wouldn’t get cell phone reception! It blocks 84% of the negative effects of the radiation. I bought a xZubi for each device my children use. In 2009, I posted my video of Jake being muscle tested with and without the xZubi Disc technology. He is a 320-pound body builder, and I couldn’t have pushed his arm down if I’d tried—if EMF hadn’t already weakened him. You could see how dramatically his energy was drained away by having a cell phone within in his energy field. That old 2009 cell-phone video had to go! However, I’ve got two new, short videos for you on this page you’ll find very enlightening. Whether we realize it or not, we are weakened by carrying our cell phones. When we put the xZubi on the phone, we’re protected, and strong again. We bought 5,000 of these devices at a huge discount so we could give you 40% off, until they’re gone. I make a practice of giving one to any young person I know. I put it on their phone myself and explain to her parent what it does. I keep a five-pack of them in my purse, to share. One of our readers used the xZubi for his school science experiment. He bought two identical houseplants. Next to one, he put an active cell phone. Next to the other, he put the exact same type of cell phone, with the xZubi device on the back of it. The plant next to the unprotected cell phone died. But the plant next to the xZubi-protected cell phone thrived! We repeated our reader’s houseplant experiment with the same results. 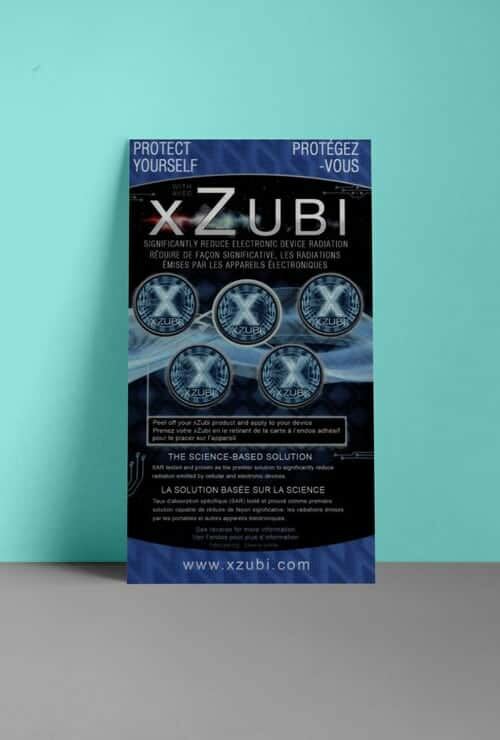 Just like you’ll see in the video with the results for both adults and children, xZubi protects living things from EMF. Click for our extended FAQ! 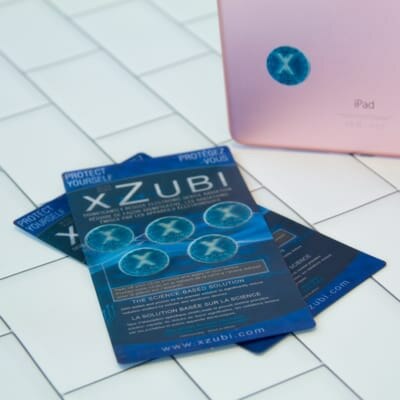 Make sure you put a xZubi Disc on cell phones, tablets, your microwave (which emits radiation as it cooks), TV screens, PC and laptop screens, baby monitors, gaming systems, and phone handsets. 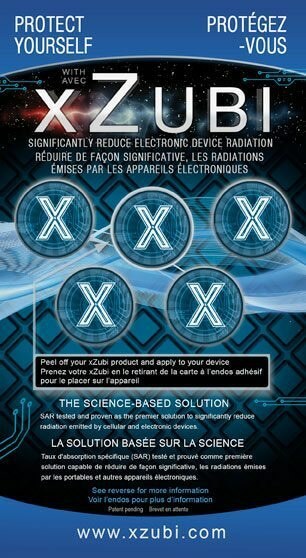 The xZubi is an easy and inexpensive solution to ever-increasing EMF health threats. Protect yourself and those you care about! Stock up on xZubi while they’re 40% off for 5-packs!